ITS Throttle Input. 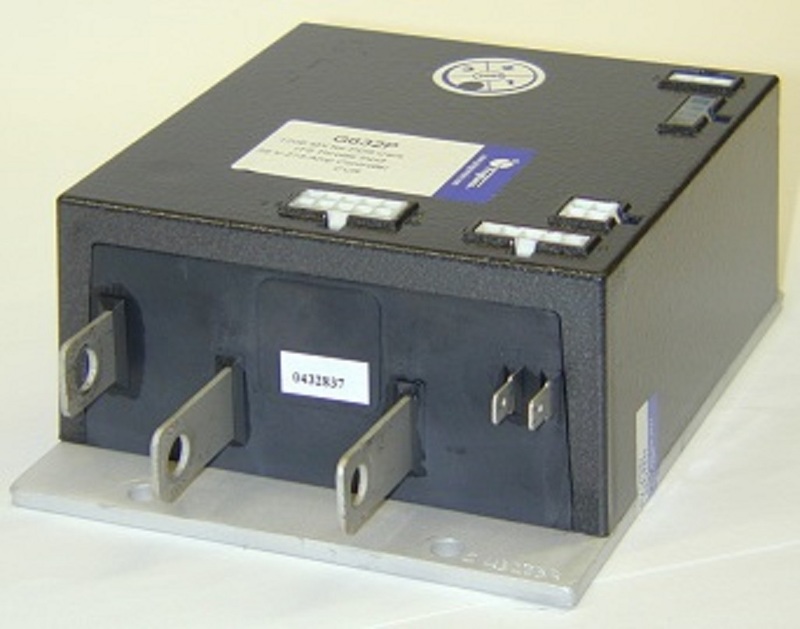 Electronic Speed Controller (PDS/VPS) is used on 1994-current E-Z-GO Medalist & TXT Models with the PDS (Precision Drive System) and/or VPS (Vehicle Performance System) applications for Golf Cars and Vehicles to enhance power and speed while maintaining the E-Z-GO Safety Standards for each vehicle. The speed controller is responsible for regulating the speed levels and performance of your vehicle. There are three large terminals on the end of the controller (A1, B- and B+) and two smaller terminals on the opposite end (F1, F2). 1- Set your VOM to RESISTANCE (O). 2- With your motor disconnected, measure A1 to A2. This must measure BETWEEN .3O and 1O. 3- With your motor disconnected, measure F1 to F2. This must measure BETWEEN 1O and 2O. 4- With your motor disconnected, measure A1 to F1. This must measure OPEN. 5- With your motor disconnected, measure F1 to the motor case. This must measure greater than 5MO. 1- Disconnect all wires from the main solenoid. 2- Set your VOM to RESISTANCE (O). 3- Measure the solenoid coil. This must measure NO LESS than 100O. 4- Connect VOM leads to the main solenoid lugs. 5- Attach jumpers from the main battery positive and negative to the coil (small terminals). 1- The meter must jump from infinity to LESS THAN .3O.